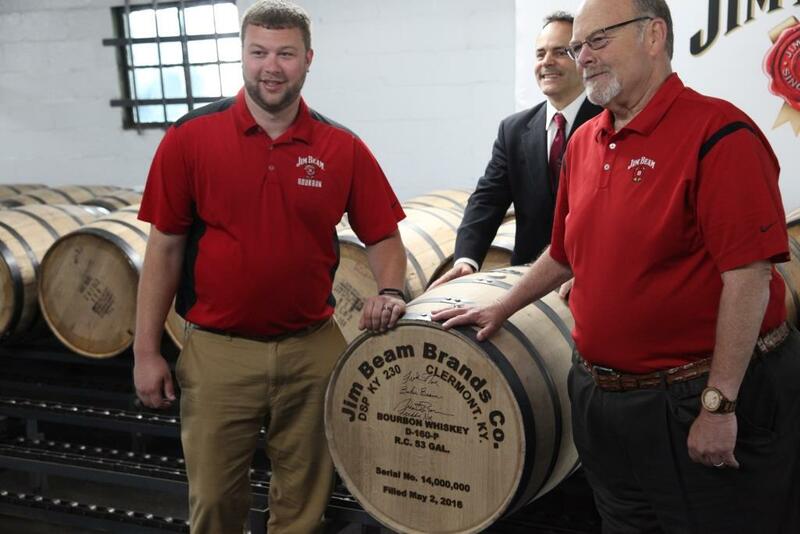 Jim Beam recently held a ceremony to honor the 14 millionth barrel of Bourbon that the company has filled. The Bourbon behemoth celebrated at their distillery in Clermont, KY with Beam family members and current employees Fred Noe and his son Freddie Booker Noe and past distiller Baker Beam in attendance. The Governor of Kentucky, Matt Bevin also joined the group in honoring this milestone. While addressing the crowd, Fred Noe took time to thank not only the entire Jim Beam work force but mentioned other Bourbon distillers who he credited with helping Bourbon’s recent rise in popularity. Noe got visibly choked up when talking about his father, Booker Noe, while reminding the crowd that his father helped launch the super-premium Bourbon category with Jim Beam’s Small Batch Collection. He also credited Elmer T. Lee, Jimmy Russell and Parker Beam as being Bourbon men who worked at other distilleries, but together helped raise the profile of Bourbon when it wasn’t as popular as it is today. Noe also reminded everyone that Jim Beam is the world’s largest Bourbon distiller, and currently has over 2 million barrels of Bourbon in storage. 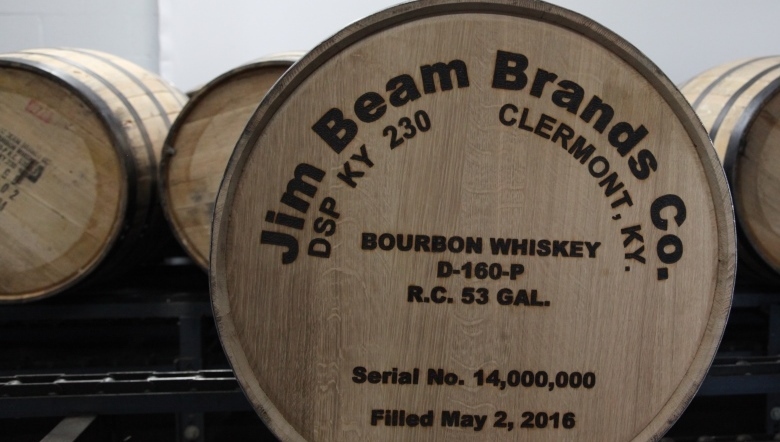 Jim Beam filled their 13 millionth barrel almost 2 years ago to the day the 14 millionth barrel was filled. This suggest that Jim Beam’s current distilling rate is about 500,000 barrels a year.